Someone got problem with their clinical laboratory result. 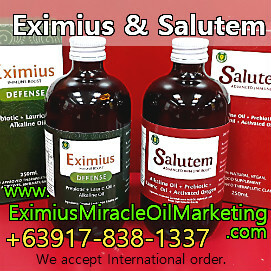 After taking Eximius Miracle Oil, their result improve. Taking medical maintenance is still called as medicine. Yes it help us to continue our normal life. But synthetic medicine is still a synthetic medicine. 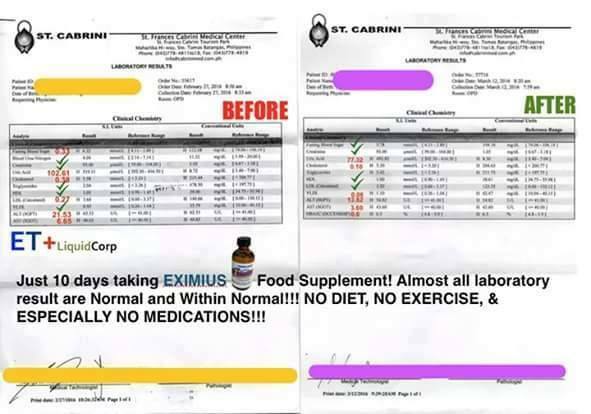 If there would be a natural health supplement that can help make our health better, without taking synthetic medicine, why not.